Well, well, Carnival Cruise Lines expected Cuba’s communist regime to lift its restriction on Cuban-born Americans who arrive by sea, but nooooo . . . and now a group of Cuban Americans have a discrimination lawsuit against Carnival in federal court. 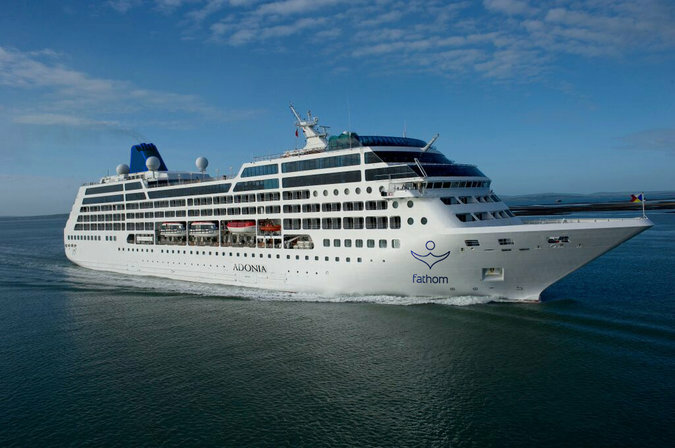 the MV Adonia, that is scheduled to sail to Cuba was found to be deficient in meeting safety standards set by the U.S. Coast Guard and that it’s first voyage to the Dominican Republic under Fathom’s flag was canceled. Additionally, last Tuesday protestors demonstrated in front of Carnival Corp.’s Doral headquarters. Among them was Ramon Saul Sanchez, president of the Democracy Movement, which organized the protest. Now, after living in the U.S.A. for forty-nine years, Ramon Saul Sanchez Has U.S. Residency Application Denied. Sanchez, who obtained legal entry into the U.S. in what is known as a “parole,” applied for permanent residency in 2002 so he could legally travel aboard the many flotillas he has organized over the years and return easily to the United States. That permanent residency request was denied and his parole has now also expired, according to the letter issued by U.S. Citizenship and Immigration Services. The letter also states that the decision cannot be appealed. However, a motion to reopen the case could be filed. Sanchez said he has lawyers working on the next step. Maybe he ought to have tried calling himself a “Dreamer,” or claim to be Syrian. The former Argentine President, Cristina Fernandez de Kirchner, has refused to testify at a court hearing into fraud allegations. Emerging from the courthouse, Ms Fernandez gave a stirring hour-long speech to the crowds. She suggested she and other leftist leaders in the region had been unfairly accused of corruption by a “media, political and judicial matrix”. The crowd trashed the location. Re: the impeachment vote, go here. WHY BRAZIL IS WORRIED ABOUT ISIS. The Olympics are scheduled to open on August 5th. Colombia struggles with peace fatigue. Cubans in Ecuador want to fly directly from Quito to reach the U.S. Authorities have just identified and moved to seize some assets tied to a new cartel in Mexico that had been quietly working under the radar for year supplying large quantities of heroin into Philadelphia. Soon after the announcement, a Mexican governor rushed to their defense claiming they were not a security threat. Known as the Laredo Cartel, the group had been supplying the streets of Philadelphia with a steady supply of heroin from Mexico. Dethroned Puerto Rico Miss Universe contestant files £2.1 million lawsuit. 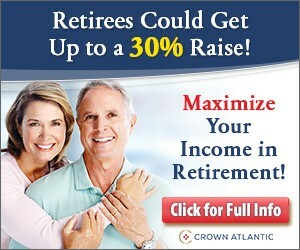 That’s $3million in America. Ms Caride was stripped of her title after she was criticised for being dismissive and saying she did not love cameras in an interview with a local newspaper. Say “NO” to the bailout: Puerto Rico rescue falters under attack by conservatives, investors. Venezuela Top Court Annuls Amnesty Law. The Venezuelan Supreme Court on Monday annulled an amnesty law seeking to liberate nearly 80 political prisoners, dealing the latest blow to the struggling opposition-controlled congress. The amnesty aimed to liberate 77 politicians, students and military officers jailed by Mr. Maduro and Mr. Chavez as early as 2003 for allegedly inciting violence or committing treason, according to the human-rights group Penal Forum, which helped draft the bill. Among the jailed politicians is prominent opposition leader, Leopoldo López, whose detention has drawn the ire of rights groups, the Organization of American States and the U.S. government, which has slapped sanctions on Venezuelan officials for alleged rights abuses. Article #1: All Bills approved by the opposition-controlled National Assembly are unconstitutional. Elsewhere in the country, “It’s Pure Chaos Now; There Is No Way Back” – Venezuela Morgues Are Overflowing. Country after country, where the demagogues of class warfare and “something for nothing” economics have sold their bill of goods to a frustrated electorate, has seen not only a drop in its standard of living, but in many instances peoples’ freedoms and lives destroyed. Litvinenko case: UK inquiry says Putin probably approved ex-spy’s killing. [British Home Secretary Teresa May] said that the British assets of the two Russian men suspected in the killing, Andrei K. Lugovoi and Dmitri V. Kovtun, would be frozen and that the Russian ambassador would be summoned to be told of Britain’s response. Mr. Litvinenko died 22 days after ingesting green tea from a pot laced with polonium 210 — a rare and highly toxic isotope — in the company of Mr. Lugovoi and Mr. Kovtun. He was 43. The three men had met in the Pine Bar of the Millennium Hotel in London. Penn first met in person with El Chapo’s son under Chavista Cartel de los Soles protection in Venezuela’s Margarita Island. Video published Monday by Mexican broadcaster Televisa revealed details of the secret tunnel used by Mr. Guzmán to slip away from marines as they stormed a house he was using in the coastal city of Los Mochis. He was arrested hours later trying to leave the city in a stolen car. The tunnel was hidden behind a closet mirror, featured a secret switch hidden in the ceiling, and had electricity and wooden planks covering the walls, the images showed. Marines took nearly 90 minutes to find the tunnel and open the access, giving him a big head start. Mr. Guzmán, the world’s most notorious drug lord and leader of the Sinaloa cartel, has a long history with tunnels. He is widely credited with pioneering the use of tunnels to ferry drugs across the U.S.-Mexico border, and used tunnels in recent years to elude capture as Mexico’s most-wanted criminal. He then famously used a mile-long tunnel to escape from prison last July. Were he living, Dosto may have something to say on Chapo’s underground tendencies. By now, shouldn’t Chapo (Shorty) be named El Topo (Mole)? Here’s Televisa‘s coverage (in Spanish). Here’s the video from the Marines’ unit commander’s go-pro camera. [El Chapo] fled through a secret door concealed by a mirror. He hid in a tunnel, until rainwater forced him out. An armed Guzman then stole a car, before finally being arrested. The main reason for the bloodshed in Mexico since the early part of 2000‘s comes from Guzman’s efforts to take control of the entire Northern Mexican border with the United States. While the expansion has been partly successful, the land-grab has resulted in thousands of deaths as rival cartels and former allies have at different times taken arms to protect their turf. El Chapo’s attempt to take Ciudad Juarez, Chihuahua, led that massive drug trafficking corridor to become the Murder Capital of the world. The violence came when El Chapo’s forces clashed with the Vicente Carrillo Fuentes Organization, also known as the Juarez Cartel. Even before Juarez, El Chapo and his then allied the Beltran Leyva cartel had unsuccessfully tried to take over the Mexican border city of Nuevo Laredo, Tamaulipas. That effort was met with a violent response from the Gulf Cartel and their enforcers Los Zetas. Gruesome executions and fierce clashes between convoys of gunmen became a regular sight. I don’t agree with the stupidity part; Penn reportedly first met in person with El Chapo’s son under Chavista protection in Venezuela’s Ranchos de Chana resort at Margarita Island, according to Spanish journalist Emili Blasco (in Spanish), The meeting allegedly was sponsored by former chief of intelligence general Hugo Carvajal (a.k.a. El Pollo), who was indicted in the U.S. District Court accusing Carvajal of coordinating the transport of 5,600 kilos (6.17 tons) of cocaine from Venezuela to Mexico. Carvajal is a member of Venezuela’s Cartel de los Soles, which sells drugs to the Sinaloa Cartel. Spanish journalist Emili Blasco reports that Carvajal allegedly “was in charge of procuring the drugs from the FARC and controlled the distribution process in the U.S. and Europe, along with laundering the drug money through PDVSA,” the government-owned oil company. Carvajal also is under investigation for his role on the attacks to the Colombian consulate and the Jewish center in Caracas. Blasco reported in yesterday’s ABC that Venezuela security sources conveyed the information regarding the presence of El Chapo’s children to U.S. authorities, and that the Mexican government also would have been told. Blasco mentions that DEA sources claim that El Chapo had visited Venezuela in August/September last year. Right now El Chapo is back at the prison where he escaped from last year; According to Mexican officials, El Chapo’s extradition process could take at least a year. Linked to by Ed Morrissey. Thank you! 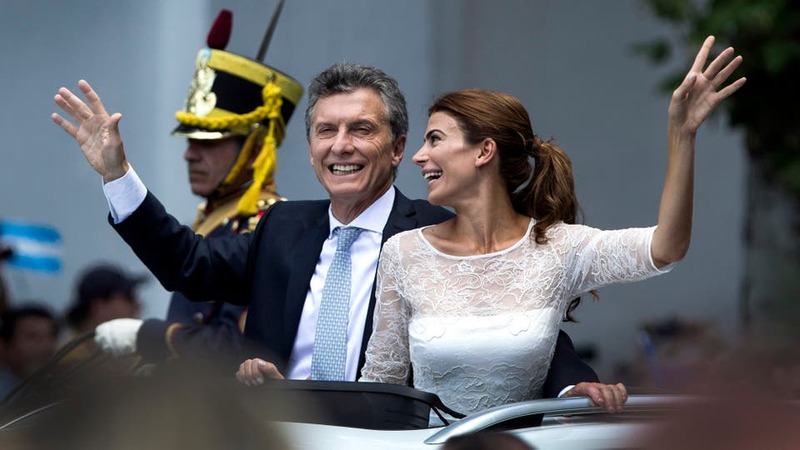 Mauricio Macri was inaugurated last Thursday as Argentina’s new president. Having created ‘as many problems as possible for the new government’ and behaving as petulantly as usual, Cristina Fernandez skipped the festivities. If you work for MTV and are planning a helicopter trip, you may want to reconsider. Las Valkyrias de Bolivia – the women wrestlers of La Paz (I posted on the cholitas a few years ago). Brazil Senator Sees 2016 Budget Plan With No Primary Surplus. 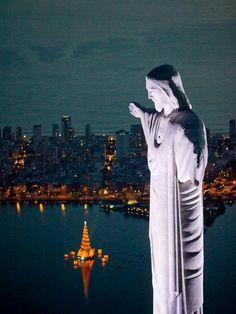 The Brazilian budget proposal for 2016, which could get its final vote in Congress as early as next week, will probably have a fiscal target lower than Finance Minister Joaquim Levy has called for, a senator involved in the budget discussions said. Two-Month Border Surge Brings Nearly 11000 New Illegal Alien Minors to U.S.
Mexican cartel boss ‘El Chapo’ spent heavily to escape maximum security jail, thereby giving new meaning to “the price of freedom”. Quitting before you start. Two Chavista assembly-members elect have already said they won’t take on the seats they were elected for less than a week ago, preferring their old mayor’s jobs. More may follow.